Catch up on the Divisional finals before this weekend! New York Empire’s Marques Brownlee. Throughout this AUDL season, Ultiworld will be publishing a weekly Throwaround, a chance for you to catch up on the amazing, funny, and interesting moments that you might have missed from the weekend’s games. The playoffs are now underway and one team — Los Angeles — has already claimed a spot in the Final Four. 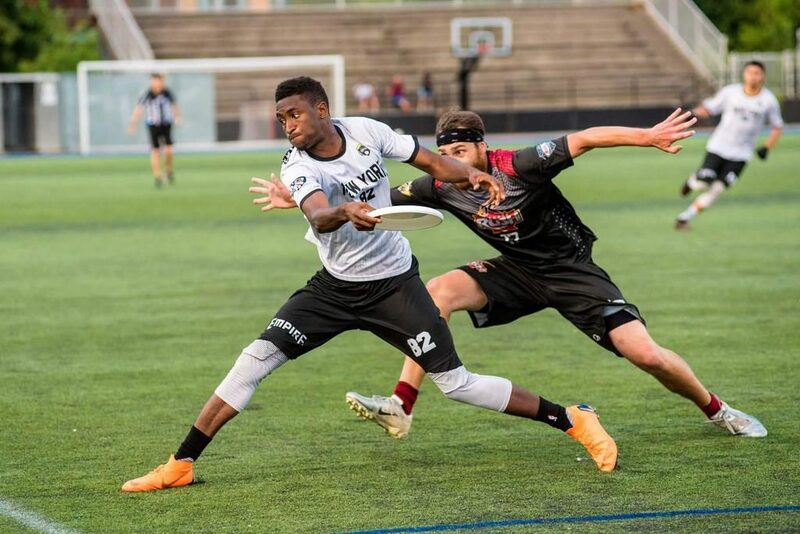 Here’s a look back on the start of the first round action in the AUDL playoffs with the rest of the Divisional playoff games set for this weekend, starting with Raleigh @ Austin on Friday night. Any team traveling to play in Texas faces what has to be the toughest road trip in the league. Playing back-to-back games against playoff teams in heat topping out at just over 100 degrees isn’t usually the first choice of any team looking to go to the Final Four. Raleigh, however, was confident. Perhaps more than confidence was the desire for revenge against Austin for an earlier nail-biter loss in April. Despite early sluggishness in warmups, Raleigh came out fired up, unleashing some of the pressure that had been building up before the weekend. Raleigh opted to exploit key matchups on a turn and capitalized on several crucial Austin mistakes early in the game to take an 8-4 lead in the 1st quarter. Raleigh’s cushion of early breaks would prove decisive. While Austin would close the gap at multiple points throughout the game, they never overtook Raleigh’s lead at any point in the game. Austin was particularly challenged to minimize the impact of Raleigh’s receivers with Terrence Mitchell standing out from the pack with his blazing speed. By comparison, Austin was throwing into far narrower lanes over the course of the game, a testament to Raleigh’s marks who were prepared for the somewhat unconventional task of marking Cunningham and Jeff Loskorn (both lefties). It’s notable that Nethercutt’s key block in the 4th quarter to prevent Austin from tying the game at 19 was in part facilitated by the narrow backhand window Matt Bennett found himself throwing into. The Flyers went on to win 26-23. Any tension that Raleigh had felt warming up against Austin had dissipated by the time they took the field against Dallas the following evening. Both teams employed game plans that were designed to contain the impact of elite throwers and force key receivers upfield. While Raleigh echoed previous games by matching up Mischa Freystaetter on Brandon Malecek, the Roughnecks were particularly focussed on disrupting Raleigh’s initial offensive looks, varying between both a junk with a double team trapping on the backhand sideline and forcing backhand when going man. At first, Raleigh looked like the better side, putting on a far more consistent offensive performance. Raleigh’s initial composure was illustrated in their ability to attack the Roughnecks’ defense. The initial backhand force by the Roughnecks was broken open on the first spread of offensive points by the Flyers. Later, after a long grinding point, the Flyers notched the first of six overall breaks during the first half to extend their lead to 11-6. The Flyers extending their lead to six to start the second half on another short field Dallas turnover. But Raleigh’s offensive composure was starting to show cracks. Another trap look from Dallas finally earned them a break, as Dalton Smith kicked off a 3rd quarter run. Raleigh scored just two more points the entire quarter as the Roughnecks finally began to see their defensive game plan slowly eat away at Raleigh’s conversion rate. An overthrow from Nethercutt to Jack Williams was answered the other way on a big forehand from Dillon Larberg to Joel Clutton. A travel call on Freystaetter and drop by Brett Matzuka was answered with a huge possession saving layout and blade from Chris LaRocque to Kevin Richardson, a serious thorn in the side of Raleigh’s defense all game. By the time the third quarter had ended, Raleigh’s six point lead had shrunk to merely being on serve, and Dallas had regained the confidence it had lost in the first half. After an outside in huck from Bob Liu failed to come back in bounds for a bidding Nethercutt, Dalton Smith burned Nethercutt upline and hit his former Texas A&M teammate Ben Lewis for the first Dallas lead of the night, 17-16. Raleigh’s next possession was clean, and a block by David Richardson would ultimately notch Raleigh’s last break of the game as Freystaetter got Raleigh back in front with a big layout catch on a snappy hammer from Jonathan Helton. But that would be Raleigh’s last lead of the game. Richardson once again owned the matchup against Hunter Taylor and took off deep for his seventh goal of the game. A stall out on Helton led to a heated confrontation between Helton and Larberg, who Helton accused of hitting the disc and his forearm as the stall count rose. Dallas got the go-ahead break as Larberg hit LaRocque just millimeters in bounds, as LaRocque toed the line on a still controversial goal. Those millimeters were ultimately decisive. Helton underthrew Williams, and Dallas responded with a huck to a streaking Matt Jackson for a 20-18 break. Raleigh’s best hope at advancing to the Final Four was to tie the game at 20 and force overtime. A quick hold from Nethercutt to Mitchell left Raleigh a window for a potential break. Their chance came when LaRocque sailed a pass over the head of Jay Froude into the hands of Joey Cretella. Brett Matzuka powered Raleigh’s D-line offense up the field but called an injury right on Dallas’ doorstep. Nethercutt came on field for Matzuka with 0:37 left to play. Freystaetter was in isolation in Raleigh’s endzone set and attacked upfield for a strike. Nethercutt attempted to sail a blade over Dalton Smith, who had the inside lane, but the pass sailed right into Smith’s path. Dallas rode out the remainder of the clock on a short field. While Dallas celebrated, Raleigh returned to their sideline stunned and angry. In the context of a single AUDL season, a heartbreaking playoff loss is certainly frustrating for any player. In the larger context of the experiences of Raleigh players, the loss on Saturday is yet another game on a long list of season-ending games that the Flyers and Ring of Fire have, for whatever reason, been unable to close. For Dallas, the game marks a third return to Championship Weekend in as many seasons. While Dallas staked its success in previous seasons on a powerful cast of superstars, this year’s Dallas squad can be proud of accomplishing a 14-1 run through the season so far with a home-grown local team. Focusing on a new look brought Dallas one of their biggest stars of the night: Kevin Richardson, in his first playoff weekend with the Roughnecks, proved just how dominant he can be downfield. Dallas had something to prove to themselves on Saturday night and they played like it. In a game that came down to the wire and required razor sharp focus down the stretch, Dallas proved that their new way of doing business works. Emmons summed it up best as the reality of another appearance at Final Four Weekend set in around him. “I think that was the difference maker: having a young team that’s hungry and wants to go out there and prove that they’re a different team from last year,” he said. 17 times the New York Empire had faced off against the Toronto Rush. The result was always the same. The Empire could not beat the Rush. It turns out the eighteenth time is the charm. New York took down the five-time East Division champions 18-17 to advance to the Championship Weekend for the first time since 2014. To say the Rush were the favorite would be an understatement. Toronto had lost just once since falling by a single point in the 2017 AUDL Championship. They were undefeated at home in 2018. But the Empire — a franchise built on its defense — held Toronto six points below its season scoring average en route to a historic win. New York got the game’s first break fairly deep into the game to take a 7-5 lead. The Empire extended the lead to three with another break to make it 10-7. It was the closest either team got to blowing the game open, as Toronto immediately answered with three straight to level the game at 10. Hugh Knapp proved to be instrumental in the Rush offense, tossing five assists in the game. In windy conditions, the offenses seemed patient in the early going. As both teams grew more comfortable with the wind, they started opening it up downfield. Empire handler Harper Garvey put on one of his best performances of the season with a goal, a block, and four assists. More importantly, he completed 59 of 61 throws. While the wind affected New York and Toronto the same, the Empire was likely better prepared for another week of less than ideal weather after playing in a rain-soaked game in D.C. New York seemed comfortable grinding out long points with lots of turnovers. The Empire built a 14-12 lead in the second half, but the Rush stepped up defensively. While it was certainly strong defensive play that won the game for New York, Toronto actually generated one more block during the game. Jason Huynh led the way with three blocks. He was one of four Rush players with multiple blocks. Toronto again closed the gap and eventually took a lead — their first of the game — at 17-16. It would also be the last goal Toronto scored. New York held to tie it up and then broke on the ensuing point to retake the lead. Jeff Babbitt and Jibran Mieser led a well-rounded Empire offense with seven players scoring multiple goals and no one accounting for more than three. New York forced a turnover and held on for the monumental win. Empire players sprinted onto the field to celebrate. The energy from New York throughout the fourth quarter was clear. Early on in the season, New York had seemed to lack chemistry and energy in the late stages of games. In the past month, Eileen Murray and the Empire coaching staff has reinvented this team and turned them into a group that no one will want to face during Championship Weekend. New York will draw another Goliath, this time the one-loss Dallas Roughnecks, in the semifinals. Reaching Championship Weekend for New York already makes 2018 a successful season, but this team continues to find new ways to win tight contests and is more than capable of slaying a giant for a second straight week. In a weekend full of ultimate magic, the Alleycats couldn’t conjure any up as their season came to an abrupt end in Madison. The Radicals showed why they’re the class of the Midwest division and why Breese Stevens is such a tough place for opponents to play. The Radicals crushed the Alleycats 27-18 in a game that was never close. The usual suspects came to play for Madison: Colin Camp had five goals and three assists, Peter Graffy had six assists and a goal, and Pat Shriwise added four assists and a goal. The rest of their faceless army played consistent, with only one player ending up on the negative side of the plus/minus. 19 of their 20 rostered players threw or caught a goal. Sterling Knoche led the Radicals defense with five blocks in the game. While the Radicals offensive unit played confident, the Alleycats’ defense managed just one break for the entirety of the game. The Radicals went on to win every quarter and slowly increased their lead until it was totally out of reach. The Radicals ran out line after line of talented defenders, and the Alleycats’ top heavy roster couldn’t keep up. The Radicals’ depth was a strong point all season, and it showed again here. The Radicals advance to face the Los Angeles Aviators in the semifinal game in Madison where they will have a potent home field advantage. The last time the Radicals played a team that was the caliber of the Aviators at home, it was the Raleigh Flyers on May 26th, and the Radicals got embarrassed 24-16 in front of a large crowd in town for the College National Championships. The whole Midwest division has a lot riding on this game. If the Radicals get blown out again, it tells us that the Midwest Division was probably worse than we thought all year. The Los Angeles Aviators win over the Growlers is documented in the previous AUDL Throwaround. Coming later this week, Championship Weekend game previews, a profile of the Los Angeles Aviators’ Sean McDougall, Championship Weekend fantasy advice, and more. Don’t miss the discussion on Deep Look with Ian Toner about this weekend’s games. 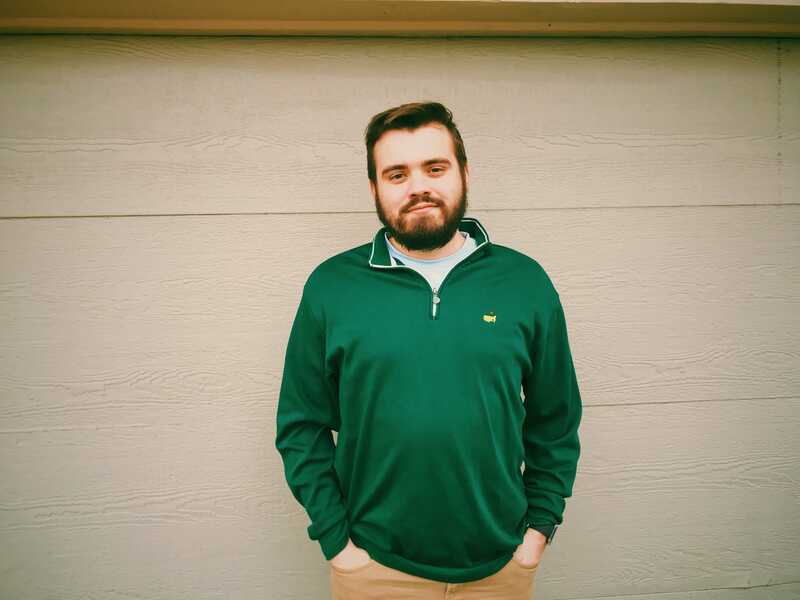 Tanner Jurek is a recent college graduate and digital strategist based in Minneapolis, Minnesota. 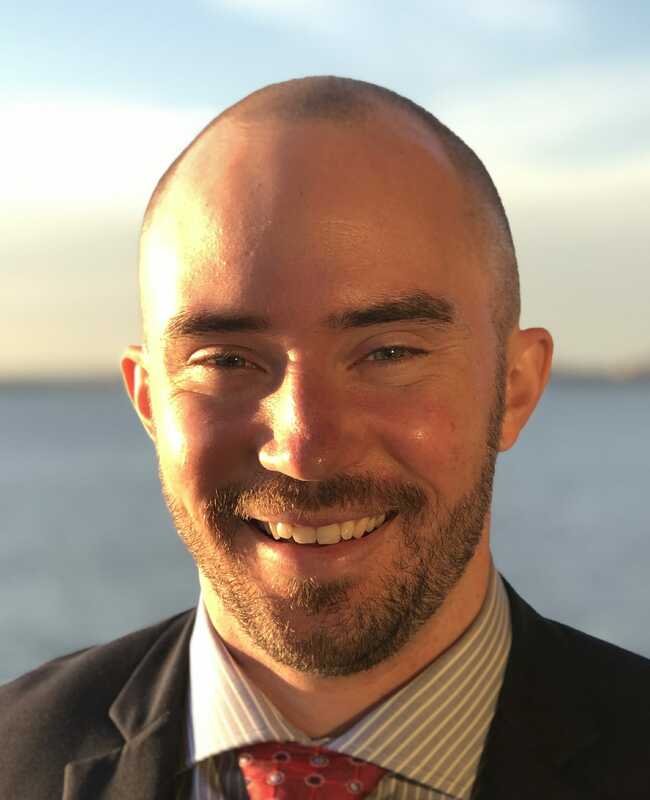 He covers the midwest division of the AUDL. You can follow him on Instagram and Twitter (@tannrj). Comments on "AUDL Throwaround: Championship Weekend Is Set"